From malware removal to hardware upgrades, let Titanium Technology Solutions simplify your connected world. Computer issues can be stressful but Titanium Technology Solutions can take the hassle out of getting them fixed. We provide convenient on-site or remote services for all your technology needs. Titanium Technology Solutions provides experienced solutions experts who you can count on to troubleshoot your computer, internet connectivity, wireless home networking, and other technology issues. See our full list of services below. Take away the hassle of setting up your new computer, printer or other hardware. We will physically set up your equipment and get you going. We will remove all viruses and malware from your computer to protect your data and speed up your computer. Optimize your computer by giving it a tune-up. We will remove viruses and unwanted software to improve your computers performance. We can setup your home wireless network or upgrade an existing one. We will safeguard your personal information by configuring security features on the network. Wired networking also available. We can recommend and install new hardware to make your computer run faster. Upgrade your memory, video card, hard drive, or any other internal or external hardware component. Recover accidentally deleted files from your computer or external storage device. Make sure your data is protected from unforeseen loss by backing it up. We can ensure that your personal information does not fall into the wrong hands by removing all traces of it from you old computer. A must before donating or selling an old computer. Digital phone systems work as well as analog phone systems without the monthly bill. Find out how you can ditch the phone company today. We can configure and install a customized home surveillance system to keep your family safe. Take the hassle out of getting a new home entertainment system. Titanium Technology Solutions will set up your new HD TV, audio, or entertainment system. The future of business is in technology! 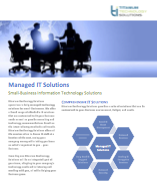 Download our white paper and see how we can grow your small-business. Our solutions experts are continually trained in the latest trends in the technology industry. This allows us to provide the most cost-effective and efficient resolution to your problem all while saving you time and money. Our experts will not only diagnosis the problem, but provide you with solutions to prevent them from occurring again. We strive to build a long lasting and trustful relationship that will keep you coming back to Titanium Technology Solutions for all you technology needs.